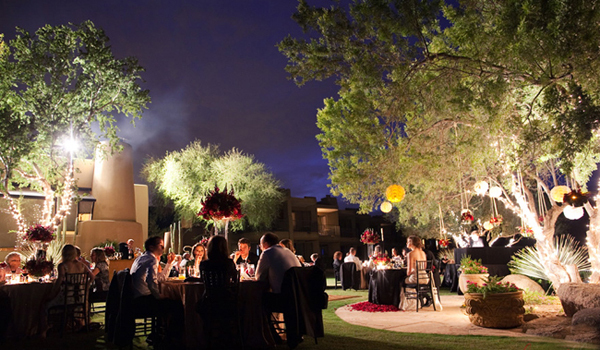 Evening wedding receptions are distinguished with the distinct lighting and décor comparing to the daytime weddings. So, if you decided to opt for the evening wedding reception in the semiformal style, you will need to decide on the lighting, entertainment and color gamma. 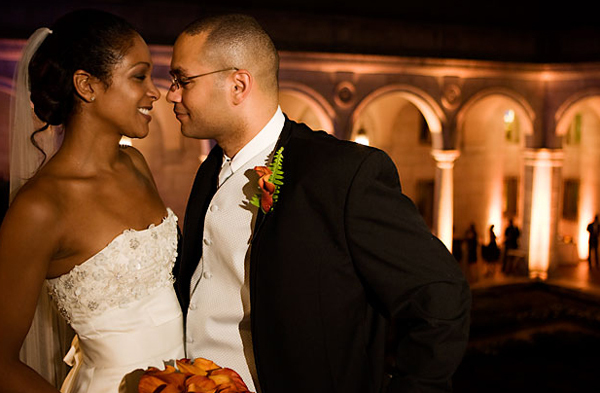 All these three factors will allow you set the wedding reception of your dream. 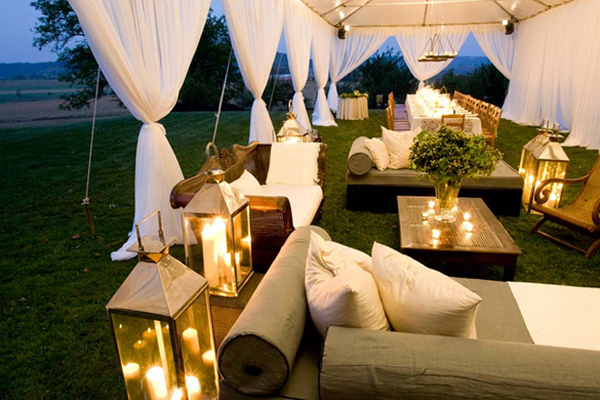 Unfortunately the evening receptions don’t have the advantage of the sunlight, which can really light up the party. 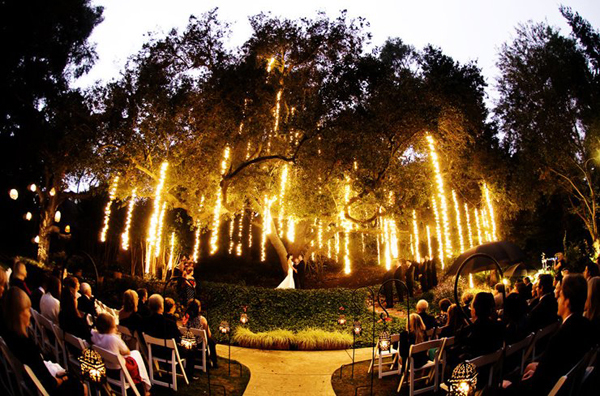 Despite the fact whether you plan to have the indoor or outdoor wedding, lighting can dramatically change the atmosphere of the location. 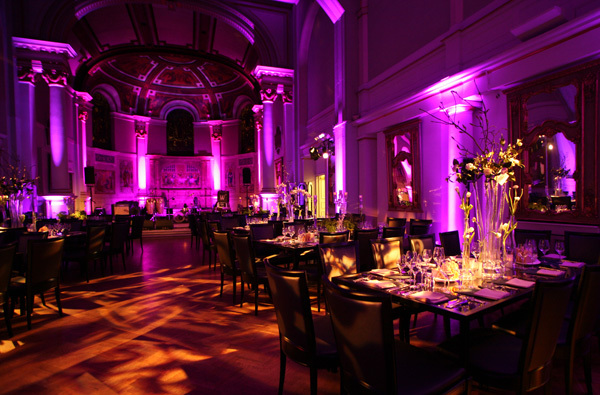 The decorator, wedding planner or the lighting personnel can help you set the lighting skillfully. Keep in mind that the soft lighting guarantees the romantic and hearty mood to the room, while the overhead lighting will create the sharp shadows on the guests’ faces. In case you luck the light at the reception, consider adding lighting to each guest table: numerous votive candles will provide enough light for the guests to see their food and each other. As for the buffet table and dance floor, consider hanging the strings of paper lanterns along the ceiling and the walls. 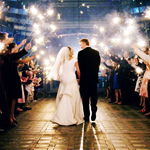 It is important to have enough light on the dance floor, especially during the special dances like your first dance. 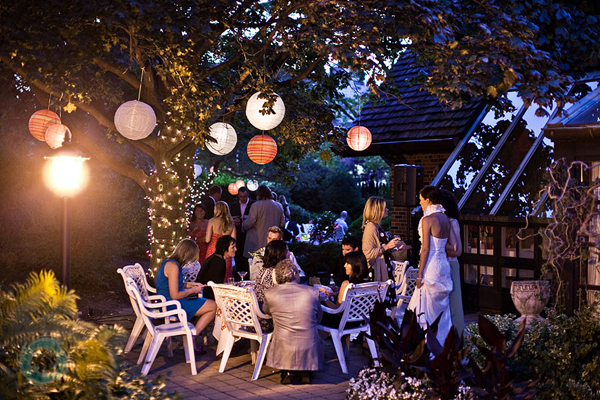 White or multicolored paper lanterns will work best with semiformal weddings. Color splashes will add the character to your semiformal wedding. 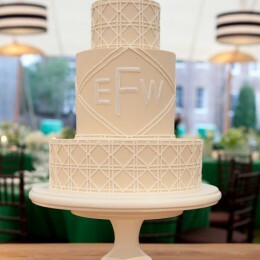 Go for the color that perfectly matches your wedding theme. In case you plan to include the red roses in your bridal bouquet, consider adding the red accents in the wedding reception décor and on guest tables. When picking the accent color, take into consideration the season of the year: for instance, fall weddings require red and orange color, while winter ones call for the blue and white. 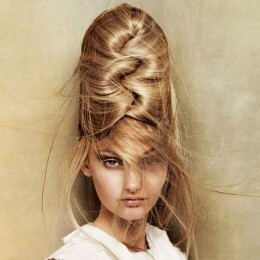 Green works best for the spring season, while yellow will match the summer weddings. Entertainment is a key element at the evening wedding reception. Keep in mind that the semi formal wedding receptions are not supposed to be as ceremonial as the formal wedding receptions. 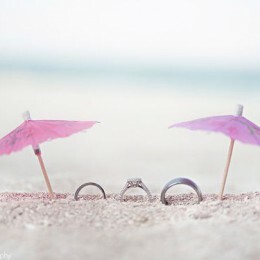 It is necessary to find the wedding band or DJ that will perfectly suit your wedding theme and mood. Provide them with the list of songs you want to avoid during your reception and discuss the list of songs you would like to hear. Don’t forget to add the traditional feel to your wedding reception by dancing the waltz. It wouldn’t be an extra taking the professional dancing lessons with a choreographer to make an unforgettable impression.